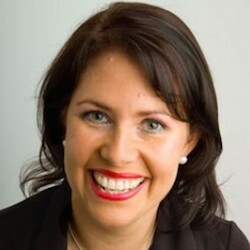 Michelle Bowden is Australia’s top Presentation Skills Trainer. Here she talks about how she built her business over the past 20 years to be the number one expert in her field. This is episode 031 of the Ideas Architect Podcast. Michelle Bowden is an expert in presentation skills and in particular persuasion skills in business. She is renowned for running the best two-day presentation skills program in Australia. And, she has done this an incredible 641 times! Michelle is a passionate educator who delivers keynote presentations on Influence and Persuasion to conference events and international clients. She is also the best selling author of How to Present – the Ultimate Guide to Presenting Your Ideas and Influencing People Using Techniques that Actually Work, published by Wiley. And, if you want a quick start to her thinking she publishes a free monthly magazine How to Present that can be found on her website. Also, she has created the Persuasion Relative Strength Indicator – a free psychometric that measures your communication, influence and persuasion skills. How to plan your career path – Do you follow your nose? Do you spot opportunities and run with them? The value of Dream Boards – the secret to set and forget planning? The biggest mistake Michelle Bowden made in her business and how you can avoid it. What’s your right business model – staff, outsource or solo? The big problem with going to conferences.